WISMA BAHASA, the first Indonesian Language Course in Yogyakarta, was established in 1982. It was initially called Yogyakarta Indonesia Language Centre (YILC), Wisma Bahasa has been running Indonesian Language training programs for multi-ethnic learners requiring Indonesian language services for general and specific purposes. Initiated by Mr. Daniel Perlman, a Peace Corps volunteer from the USA, Wisma Bahasa is now owned by Suara Bhakti Foundation (Yayasan Suara Bhakti Yogyakarta). 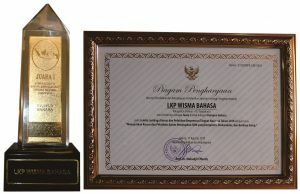 With more than 36 years of experience Wisma Bahasa has shown that in order to maintain its position as a market leader amongst Yogyakarta language training institutions, it has had to provide highly consistent and high-quality language service through a commitment to continuous improvement. From one type of language service in the early years, now the organization has improved and expanded its product by providing high-quality education and training services for those who need to improve their bahasa Indonesia or Indonesian language skills for occupational, migration or study purposes. We provide courses not only language, but also cultural studies, such as batik painting, traditional dancing, and cooking. The bahasa Indonesia or Indonesian language course program consists of intensive and specialized courses, which will be conducted for individuals as well as groups classes. 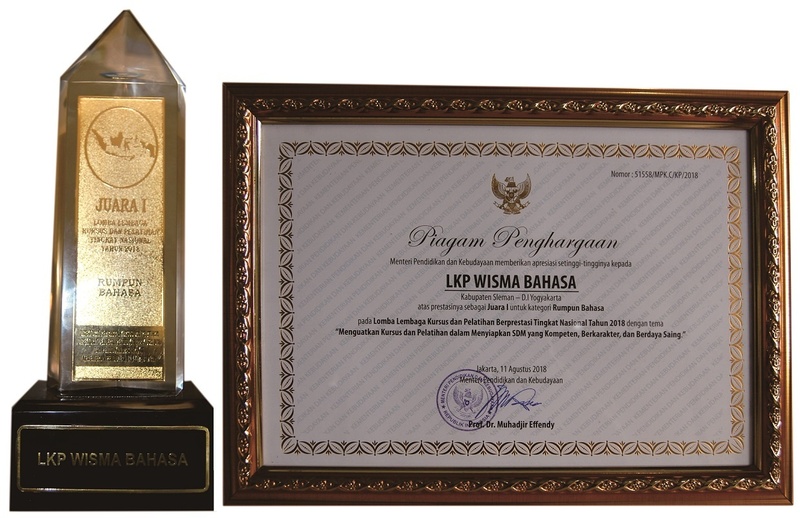 Wisma Bahasa provides leading programs such as Indonesian language course and Javanese language course. For those who wish to have distance learning, we also provide e-learning program or learning Indonesian language online and also provide class in Jakarta and Bali. Immersion course will be the best choice for those who wish to enhance their communication skills in bahasa Indonesia and to help them acquire information relevant to their job and needs by immersing them in a community of their choice. In Wisma Bahasa, you will find a comfortable and fun learning atmosphere, provided by professional teachers and staff. Supported by the hospitality of Jogjakarta and peaceful surroundings of Wisma Bahasa, make Wisma Bahasa is the perfect choice for those who need to study bahasa Indonesia or Indonesian language course as comfortable and relaxing as a vacation. As the result of adhering to its vision and mission, more and more learners throughout the world have discovered and shown their interest in Wisma Bahasa. Those are from diverse programs, with various disciplines and backgrounds, and are mostly associated with prominent institutions and organizations. We are not teachers to learners, but friends. We do not just teach the language but create situations in which learners enjoy communicating in the target language. Hospitality is our principle. This is why we do not name our institution a college or school, but a home of language, Wisma Bahasa. Wisma Bahasa – Yogyakarta Indonesian Language Centre (YILC) initiated in 1982 by Mr. Daniel Pearlmen, a Peace Corps* volunteer from State University of California at Berkeley, USA.